What a great two days at the 15th Annual Festival of Quilts. With more than 30 quilts in the show and nearly 70 quilts for auction, our visitors were delighted with what they saw. And what we saw were smiles on faces. And lots of them! Few left empty-handed. 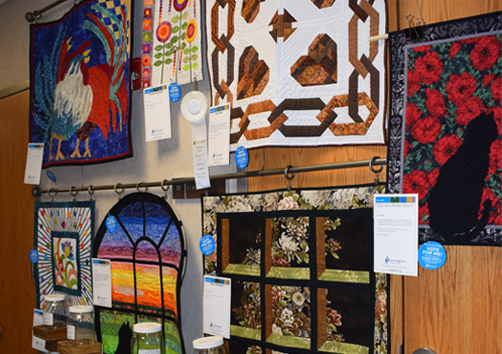 Whether it was a quilt from the auction, a boutique quilt, a treasure from the gift shop or a delicious homemade baked goodie, our 1,466 visitors took advantage of all the Festival of Quilts has to offer. See Festival Day 2 photos here.